easyMarkets is an established Forex & Crypto broker founded in 2001. They are licensed and regulated by CySEC in Europe and ASIC in Australia. Official address is: P.O. Box 53742, Limassol 3317 Cyprus. Contact phone number in Australia is: +1300 303 908. Customer support email address is: support@easymarkets.com. Investors at easyMarkets are given access to a very easy to use web based trading platform, along with the standard MT4 trading platform. Mobile trading apps for Android & iOS are available. You will have access to a wide variety of underlying assets to trade including; Crypto Currency pairs, Forex pairs, Commodities (oil, gold silver), Stocks, Indices and Vanilla Options. Fixed spread on Bitcoin trading is now at $60. Two account types are available, the standard account and a VIP account. Minimum deposit for a standard trading account is $100, and for a VIP account the minimum is $2,500. The main difference in the VIP account is; spreads, signals, and withdrawal processing times. 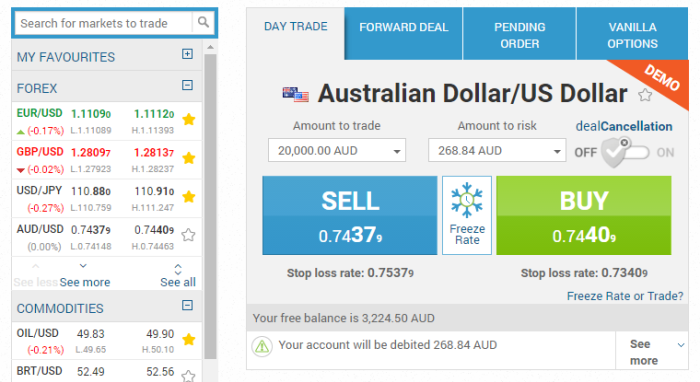 You can create a free demo trading account to test out their platforms features, see here. The best way for you to know that a Forex broker is not a scam, is by checking their regulatory status. When you see that they hold a valid license from a financial regulator, you can be sure that they are a legitimate broker. In Europe they are licensed as Easy Forex Trading Ltd with CySEC license number 079/07. In Australia they are licensed as Easy Markets PTY Ltd, with AFSL license number 246566. A CySEC licensed broker can offer Forex brokerage accounts to all EU member countries that are members of MiFID. Additionally, they are a member of the Investors Compensation Fund which means your account has protection of up to 20,000 euro in the event that the broker becomes insolvent. There are many Forex brokers to compare and choose from online. 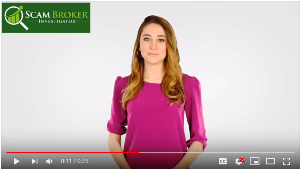 The main reason that traders choose to go with a licensed Forex broker, instead of a scam Forex broker is because they are interested in trading, and not worrying about a broker becoming insolvent. ForTrade is an FCA licensed Forex broker in the United Kingdom. Their trading platform is versatile and easy for investors. Try a Free Demo Account, signup here. 24Option is a European licensed broker offering a unique & easy trading platform, see here. Starting deposit is $250, and they have trading on Bitcoin, read more.